Stages are activities that are done sequentially per work item. There are several work stages during a release. Stage 1 - Design is the first stage that has to be completed. Stage 3 - Testing is done as the last work stage. Stage 2- The cross-functional Scrum team does the implementation. A stage is an activity that is done sequentially per work item. You can learn more about stages and skills. Go to your plan > click located next to the plan name, and go to Configure. Type in the new stage name and click Add stage. You can configure the new stage name by clicking it. Change the color by clicking on the color ball and selecting a new color. Once you have the stage you can proceed and add skills to each stage. 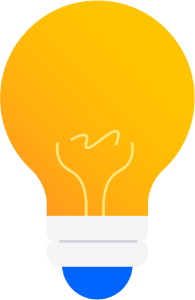 Skills are abilities that team members must have in order to complete work items. Skills can be defined per stage and allow to categorize different types of work within a stage. Frontend architecture - frontend development skills. Select Add skill, type in the new skill name and click Create local skill. Choose the estimate allocation percentage. 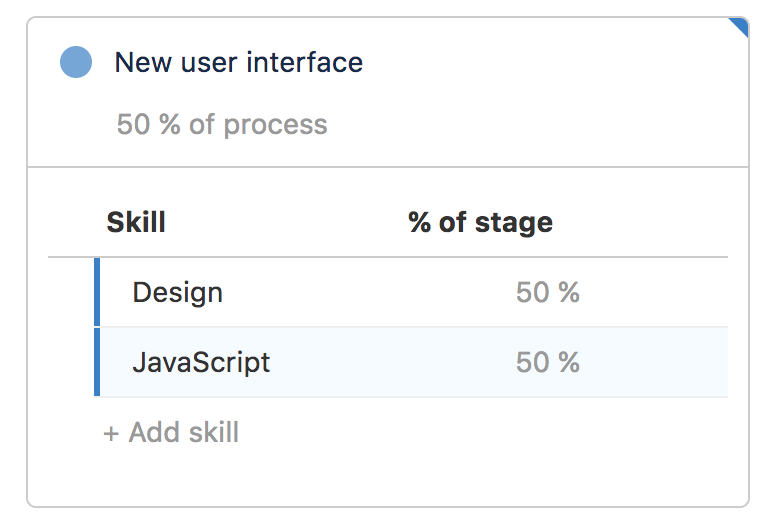 For example: If the issue had an estimate of 10, and there was coding with 50% and a visual design skill with 50%, 5 points of the estimate would require someone with the coding skill and 5 points would require someone with the test skill. Delete a skill by hovering over it, selecting and clicking Delete. 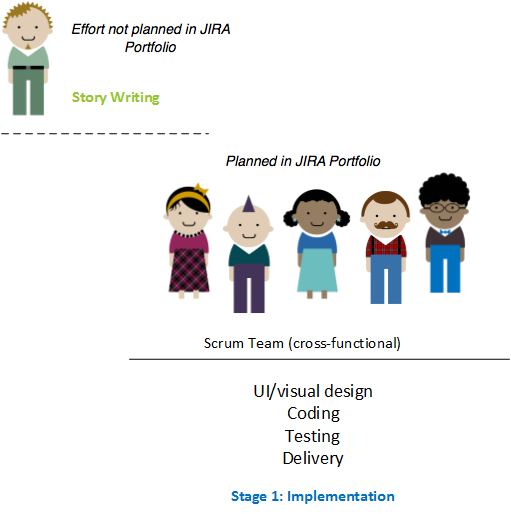 In the following example, you have a fully cross-functional Scrum team. 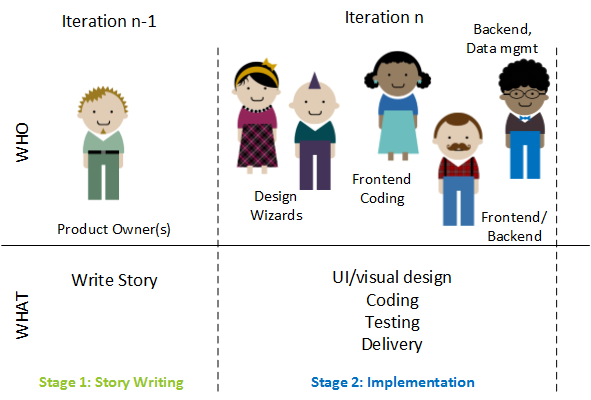 Everyone in the team can do all type of work required to implement a user story. Stage 2- The team implements the story. All activities such as UI/visual design, coding, testing, and delivery are done within the same iteration. As a result, the schedule will look like this when adding some stories: the story writing stage will be scheduled at least one sprint before the implementation, except for stories, that don't require story writing effort. We recommend to represent all types of effort (stages/skills) in your plan rather than planning some activities separately. 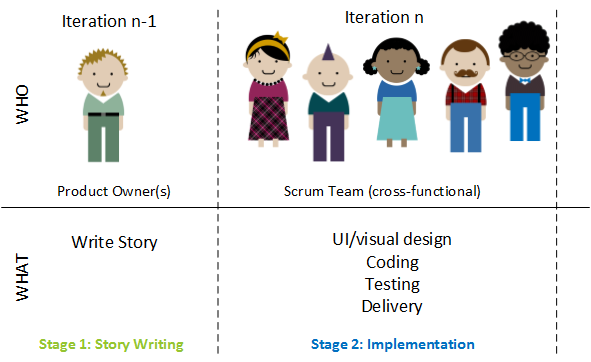 Particularly, being realistic and explicit about design work and user story writing, or also requirements analysis is one of the common challenges many teams see in their organization. 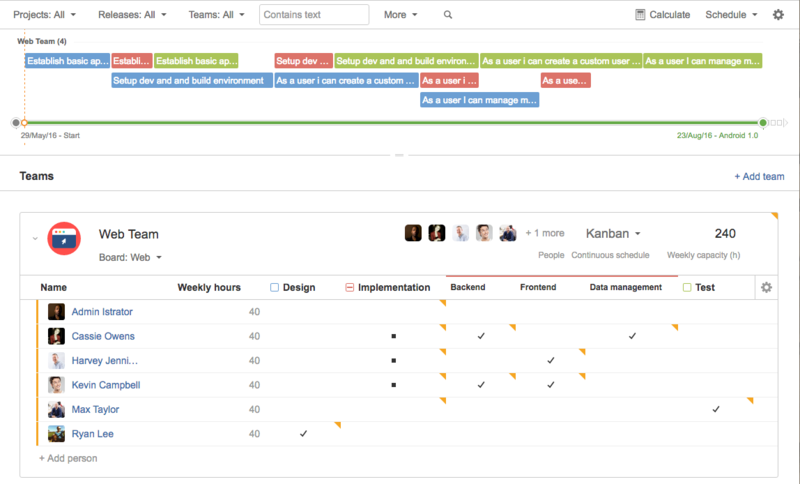 In this scenario, the team works on a day-to-day schedule, rather than doing iterations. The work is structured into design, implementation, and test, happening sequentially per work item. However, rather than waiting for the next iteration to start with the next stage of work, in this case, implementation can start on the next day after the design has been completed.